John was born in 1994 and started playing the drums when he was 5. His first kit consisted of a cardboard box bass drum and 2 plastic paint pots for snare and tom-tom. His top quality cymbals were cake tins! This would be the kit on which he would hone his fledgling skills! At this young age, he’d already made up his mind that he wanted to play in the band with Mam and Dad! At 6 years old he had his first real kit of drums – now he had quality drums, there was no stopping him!! Although he’d already played a couple of times in front of his class, his first “proper” gig (with Mam and Dad as The Class of ’58) was on his 7th birthday, when he did a 30 minute spot in a small local club. Once he’d had a taste of this he wanted more and progressed at a phenomenal pace. His chance finally came in 2002 when, at 8 years of age, he joined the band permanently, and he’s never looked back. As with any musician, the more gigs you do, the better you get and he did so many gigs that he improved at lightening pace. He came up with the idea of singing backing vocals, which worked out great and he even managed to get through without any problems when his voice broke - He changed from singing high to singing low over night, which was very entertaining! This became his role, laying down the beat and providing doo wops! At a very young age John never had any drumming influences, as he just played what he felt. It was only as he got older that he discovered great drummers. As John was self-taught he developed his own drumming style which, these days, he describes as “A mix of all my favourite bits from all my favourite drummers”. 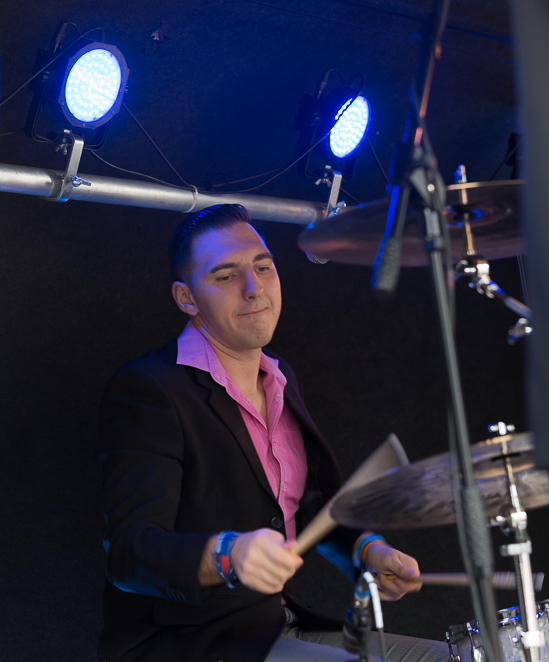 He has become a well respected and admired drummer amongst his peers and audiences alike, which has resulted in him becoming an endorsed artist of Murat Diril Cymbals, Natal Drums, Code Drumheads UK and Pellwood Drumsticks Europe, which is a great plaudit for any musician. These days John's role has grown even bigger as he has now taken over the management of the band - running everything from publicity, to booking enquiries and negotiations, social media, photography, videography and everything in between! 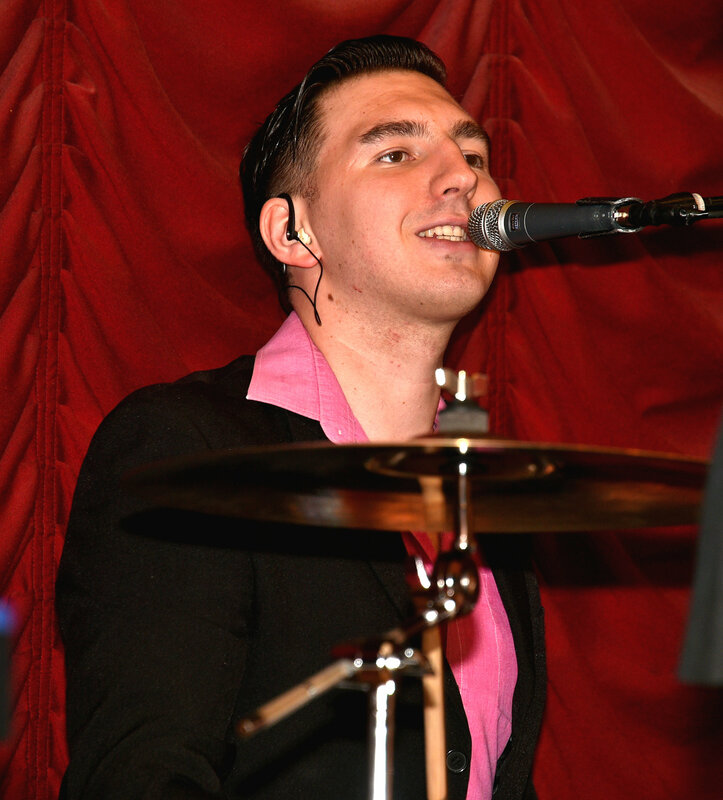 Although drumming is John's passion, he is just naturally musical and can play a number of different instruments. He is an accomplished guitarist and loves nothing more than plugging in his ol' Gretsch and playing some Brian Setzer - That's when he's got the time of course. When you spend so much time on the road, there never seems to be enough hours in the week! In his spare time, John acts in Hollywood Films, TV Series', Adverts and everything in between (Keep your eyes peeled!!) and in his spare, spare time he turns out to play rugby for Penallta RFC - The same team that he’s played for since he was little! Although he's very busy, he has to squeeze all these things in between his most important job. 2015 was a big year for John and his girlfriend, Becky, when they became parents for the first time welcoming their daughter, Kiera, into the world. "One minute you're in bed with your little brother, next you're a Daddy. It's surprising how quick time goes". In 2018 there was another big occasion as John and Becky tied the knot, making Becky the newest Coleman - Although there's no signs of her taking up the saxophone any time soon! With all these things going on, John just about finds enough time to sleep - He says he'd love an endorsement off a mattress company as that would really hit the spot! 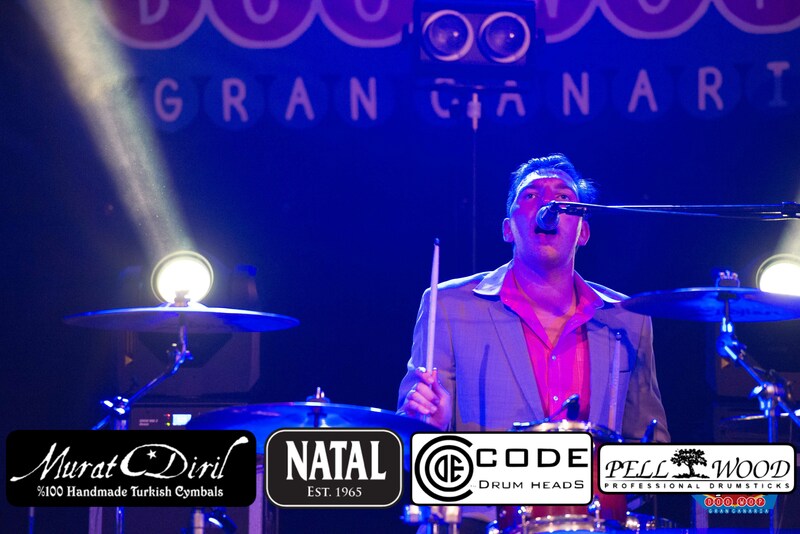 John is a Murat Diril Cymbals, Natal Drums, Code Drumheads UK and Pellwood Drumsticks Europe Endorsed Artist - He uses these products for all performances both live and in the studio, in the UK, Europe and the Rest of the World. If you want to keep up with what John's up to, check out his Instagram, some of which is below! (Don't forget to give him a follow!! ).